Seat width 16" Seat width 18"
. 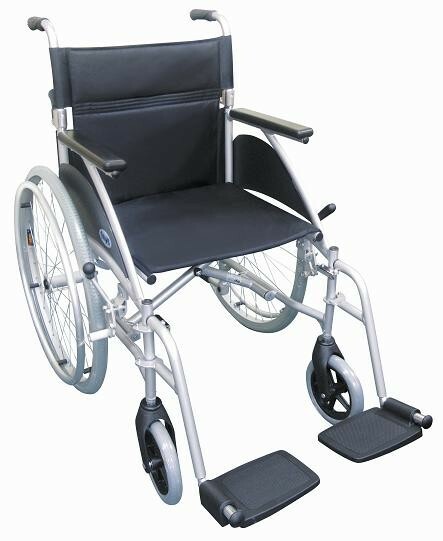 Swift wheelchair is perfect for occasional use. Designed for indoor and outdoor use. Ideal for taking on trips, leaving at relatives homes or storing in the cupboard so its there when you need it. Available in 2 seat widths: 16" or 18"
Please note: this chair is not suitable for occupant car transportation.